Spatial Variation of Ground water Quality Parameters and its Suitability for Drinking at Makutopora Aquifer, Dodoma Municipality, Tanzania. A study was conducted to benchmark the ground water quality parameters and its spatial variation from Makutopora boreholes which are found 32 km from Dodoma town. A total of 90 samples (from both deep and shallow wells) were collected and analyzed for various quality parameters. The analysis results were interpolated using statistics and Inverse Distance Weighting tool in a Geographical Information System (GIS) environment to determine their spatial variation. The results indicated that all samples were within the permissible Tanzanian standards, except for two unused production boreholes which showed higher levels of total hardness, Electrical conductivity and total dissolved solids. However, gross pollution was found in community shallow wells of Chihanga and Veyula that showed high levels of nitrate (78-82 mg/l), Manganese (1.05 mg/l), low pH (5.98) and E. coli. (52/100 ml). It is quite clear from this study that the ground water supplied to Dodoma is still meeting the set drinking water standards in Tanzania although aquifer deterioration was noticed which demands an urgent innovative ground water management. The results obtained in this study will therefore be helpful for future monitoring and sustainable ground water quality management in the Makutopora sub basin. 1. Alauddin, M. 2014. Optimization of Water-Allocation Networks with Multiple Contaminants using Genetic Algorithm. Internationa journal of Biologica and Chemical Science, 1(1). 2. Arzu, F.E., Fatma, G. 2013. DRASTIC-based methodology for assessing ground water vulnerability in the Gümüshaciköy and Merzifon basin (Amasya, Turkey). Earth Sciences Research Journal, 17(1), 33-40. 3. Curşeu, D., Sîrbu, D., Popa, M., Ionuta, A. 2010. The Relationship Between Infant Methemoglobinemia and Environmental Exposure to Nitrates . Survival and Sustainability (pp. 635-640): Springer DOI: http://dx.doi.org/10.1007/978-3-540-95991-5_58. 4. EPA. 2002. National recommended water quality criteria: Washington D.C.: EPA; 2002. 6. Kumar, M., Kumar R. 2013. Assessment of Physico-Chemical Properties of Ground Water in Granite Mining Areas in Goramachia, Jhansi, UP, India. International Research Journal of Environment Sciences, 2(1), 19-24. 8. Mishra, N., Khare, D., Gupta, K., Shukla, R. 2014. Impact of Land Use Change on Ground water-A Review. Advances in Water Resource and Protection, 2(28), 28-41. 9.Mostafa, A.H., Al-Wasify, R.S., Sayed, A. M., Haroun, B.M. 2014. Microbiological and physicochemical evaluation of ground water in Egypt. International Journal of Environment and Sustainability (IJES), 2(2). 11. Ramakrishana, B., Ranibai, R. 2015. Ground water Qualty in some villages of Shahapur taluk, Yadgir district, Karnataka, India.Golden Research Thoughts, 4(7). 12. Rwebugisa, R. A. 2008. Ground water re-charge assessment in the Makutupora Basin, Dodoma, Tanzania. International Institute for Geo-Information Science and Earth Observation, Enschede, The Netherlands. 13. Sabo, A., Christopher, E.O. 2014. Physicochemical and bacteriological quality of ground water at Abubakar Tatari Ali Polytechnic Bauchi, Nigeria. European Scientific Journal, 10(18). 14. Sarala, C., Ravi, B. P. 2012. Assessment of ground water quality parameters in and around Jawaharnagar, Hyderabad. International Journal of Scientific and Research Publications, 2(10), 1-6. 16. Shindo, S. 1989. The study on the Recharge Mechanism and Development of Ground water in the inland Area of Tanzania. Progress Report of the Japan-Tanzania joint Research 1. Chiba University, Chiba, Japan (Vol. 1). 17. Shindo, S.1990. The study on the Recharge Mechanism and Development of Ground water in the Inland Area of Tanzania. Progress Report of the Japan-Tanzania joint Research 2. Chiba University, Chiba, Japan. (Vol. 2). 18. Shindo, S. 1991. The study on the Recharge Mechanism and Development of Ground water in the Inland Area of Tanzania. Progress Report of the Japan-Tanzania joint Research 3. Chiba University, Chiba, Japan. (Vol. 3). 20. Tikle, S., Saboori, M.J., Sankpal, R. 2012. Spatial distribution of ground water quality in some selected parts of Pune city, Maharashtra, India using GIS. Current World Environment, 7(2), 281-286. 21. URT. 2015. Migration and Urbanization Monograph, National Bureau of Statistics Ministry of Finance Dar es Salaam and Office of Chief Government Statistician President’s Office, Finance, Economy and Development Planning Zanzibar: United Republic of Tanzania. 22. Venkatramanan, S., Chung, S., Ramkumar, T., Rajesh, R., Gnanachandrasamy, G. 2016. 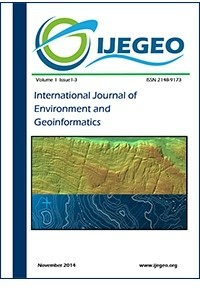 Assessment of ground water quality using GIS and CCME WQI techniques: a case study of Thiruthuraipoondi city in Cauvery deltaic region, Tamil Nadu, India. Desalination and Water Treatment, 57(26), 12058-12073. 24. WHO. 2004. Manganese in drinking-water: Background document for development of WHO Guidelines for Drinking-water Quality. 25. WHO. 2008. Guidelines for drinking-water quality: Incorporating 1st and 2nd addenda, Vol.1, Recommendations addenda, , Recommendations, Third editions (3 ed., Vol. 1): WHO.